5PM UPDATE: MET EIREANN says high winds which hit the county for more than a week have finally subsided. Rain and hail showers are also set to continue. The forecaster had issued two weather warnings this morning – a gale warning and a small craft warning. There were floods on many roads again this morning. The Kilmacrennan to Churchill Road is so bad that it has been closed to traffic. 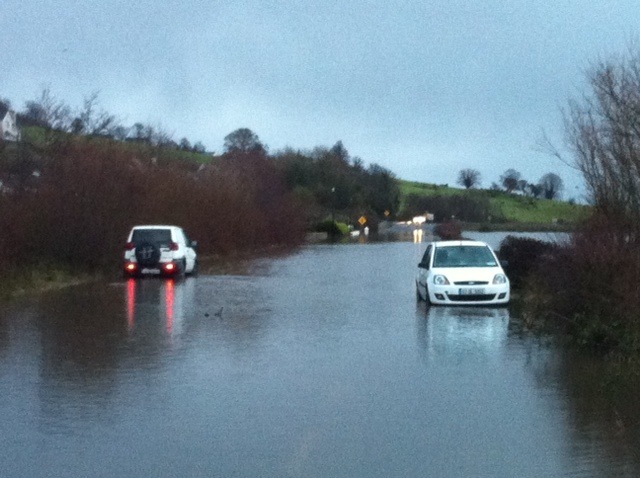 It is also particularly bad in and around Ramelton as well as on the Letterkenny to Lifford Road. There were disruptions to power supplies in several Co Donegal locations this morning, but these have lasted less than half an hour. Met Eireann says temperatures will rise this weekend – so we can all finally get out!